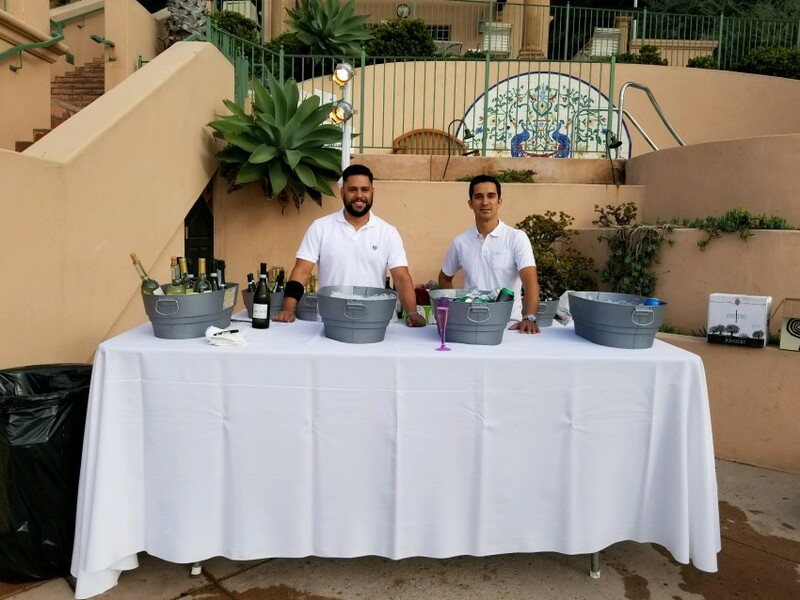 Ray and Jonny bartending at a coastal wedding. 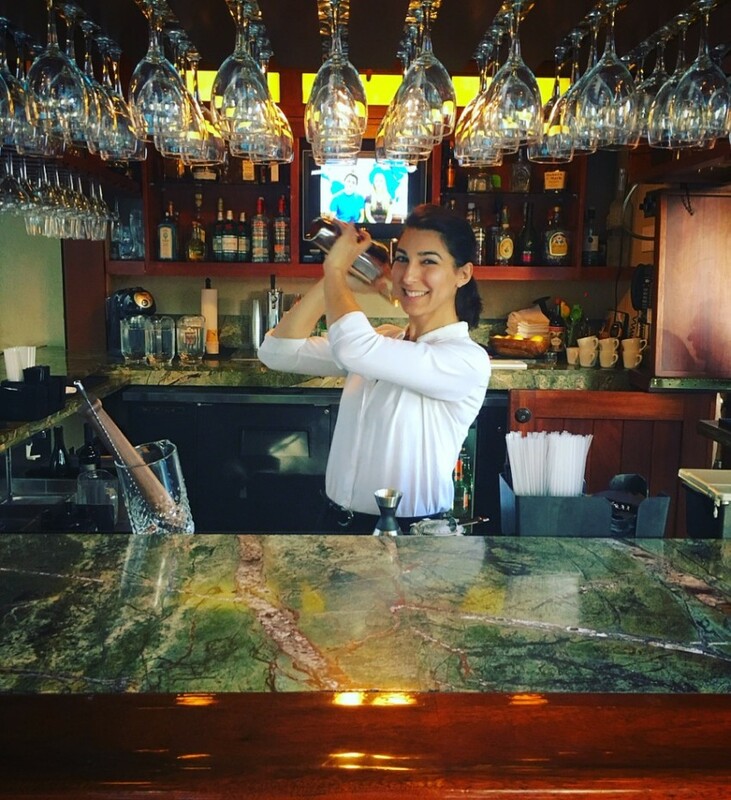 Meltem behind the bar at a Fundraiser to help children. Mercedes setting up at a recent wedding. Our bartender's know exactly what a chic set-up should look like. David and Winter helping at a holiday party for a VIP client. Our stellar crew at Elyse Walker's event. All smiles for a recent dinner party thrown by our favorite PR firm. Chef Tara is always whipping up tasty creations. Incredible what goes into planning a successful event. We would be happy to assist with yours! Jimmy passing appetizers at a Rooftop Surprise party. Happy staff after a fantastic event in the Hills. As the owner of ON BRAND EVENT STAFFING, my experience comes from working in the hospitality industry for over a decade. I have experience in various positions, and have worked hundreds of private events, from anniversary parties, weddings, birthdays, and engagements, what can I say? I love a good party :) This is what led me to start my own staffing agency - ON BRAND EVENT STAFFING. We supply experienced and hard-working individuals who thrive in private party environments. From an intimate private birthday, to an extravagant 350 guest wedding, we know you'll be happy with our service, communication, and ability to supply you with all your event needs. From the very beginning it was very easy to communicate with On Brand Event Staffing. Rachel was very quick to answer and accomodate all of our requests. Brian, the bartender was very pleasant and professional. I only heard great things from our guests about Brian. He had to stay over and he happily did it. Overall, we had a very pleasant experience. A big "thank you" to Rachel and Brian!!! Fares was professional, easy to work with, paid attention to every detail, accommodating, caring, fun.....the best. Will definitely ask to have Fares at our next party! Working with Rachel and her team was a flawless experience. We hired 6 waitstaff and 1 bartender, and everyone was excellent. From the planning process, all the way through our event, was so easy and communication was on point. We will absolutely use them again for the future parties. Very easy to coordinate and work with. Bartender was a crowd favorite. Thanks Benny! Looking forward to working together again soon! Second year with On Brand, 'Fantastic-ness' Continued! Last year, I called On Brand in a panic to wait staff my parents' Superbowl party. A big, loud, fun-loving Caribbean family, we needed two servers who could handle a high-intensity party experience with non-stop movement for 5 hours. When I spoke with Rachel, she sent two amazing servers who were friendly, professional, and fell right into the flow of the party. No glass or plate was empty, and every guest had very complimentary feedback about the waitstaff. We had amazing service from Mercedes on Christmas day. She is very professional, efficient and easy to communicate with. It was a pleasure working with Mercedes and highly recommend On Brand Event Staffing. We hired a bartender from On Brand and the process was seamless. From the quote to confirmation and then their bartender was punctual and professional. Would use them again if needed. Thanks Brian! Hope to work together again soon. Happy holidays! Had a party for 50. Contacted Rachel who set up my appt for a bartender - everything went smoothly. Edwin - the bartender - worked out well - really nice guy, on time (early actually), set up, cleaned up, and brought a big smile, and some holiday cheer (nice Santa hat) which worked perfectly. Everything was just easy - the way it should be! Thanks again. No problem Gregory! It was a pleasure working with you as well, and hope to do so again in the future! Happy holidays! I’ve had the pleasure of knowing and working with Rachel for years. She is communicative, responsible, and lovely to work with. I needed staff for a very high level executive seated dinner, and she more than delivered. Her staff was on time, presented well, worked amazing with my current staff, and knew exactly how to set, manage, and handle a white glove dinner service. I highly recommend if you need to outsource staff for any style event. This was my first time using On Brand Event Staffing, and it will be my first of many. They were great. I hired two servers....Carina and Mercedes. They were polite, got the job done and just did a great job. We had a neighborhood parade the same day as my event causing traffic delays and Rachel (owner) called me regularly with updates. It was not a problem. Will be using them for Christmas too. Thanks Kevin! Looking forward to working with you again soon! I've used On Brand the last couple of years for Thanksgiving. The servers have been professional and hard workers. I would recommend! The servers were very friendly and hardworking. They worked independently and took initiative so that I could enjoy my event. The staff were exactly what we requested for our holiday family gathering. They conquered our kitchen and knew exactly how to make our entertaining stress free. Great service! On time and extremely polite. Highly recommend! Christian was exactly the chaperone needed for our daughters event. She arrived on time, friendly and attentive. Rachael understood exactly what my need where and delivered the right person for the job. Thank you! Phillip was terrific. He went out of his way to help at a very difficult party. He was friendly and helpful to everyone and especially to me as the host. I would hire him again without a doubt. 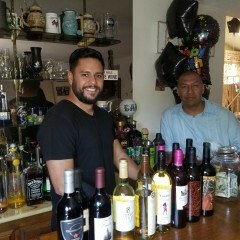 Gino was a great bartender and took initiative to go out his way and asked my guest if they want it something to drink. Very good service, very friendly. Thanks Maria! It was a pleasure to work with you for your event. Hopefully it will be the first of many to come. On brand was on the money! I reached out to Rachel less than 24 hours before my birthday party for 40 people, and she delivered in spades. The On Brand staffers were punctual, poised and proactive to my as a host as well as the needs of my guests. I highly recommend On Brand and will use them exclusively in the future. We hired On Brand Event Staffing for our wedding. We had a bartender, waitstaff, and a wedding planner they recommended. I would recommend being really specific with your needs because we had a bit of confusion regarding a wedding coordinator and day of coordinator. The bartender was about 10 minutes late but luckily arrived right before we began the ceremony and On Brand Event Staffing replied as soon we messaged to ask. The waitstaff and bartender ware extremely helpful and amazing. The wedding coordinator was instrumental in helping our day run smoothly. Would highly recommend!! Thank you!! Hey Julissa! It was a pleasure working with you on your event, and we appreciate the feedback. I wanted to clarify that the bartender was no more than 10 mins late at best, so thank you for adjusting your review to reflect that. She had went to the wrong part of the property initially. As for the wedding coordinator vs. your day of coordinator, you hired Rebecca, one of our DOC's for your event, based on what you had left in your budget. We make sure to work with our clients to provide what will best suit their specific needs. Thanks again for choosing us for your special day! On Brand Event Staffing came through and saved the day at our big annual event. They provided living mannequins and staff at our black tie gala. The models were professional and looked great, our guests and sponsors totally loved it. Rachel is very on top of things and easy to communicate with. On Brand Event Staffing met and exceeded our expectations, and we will no doubt be calling them again for future events. On Brand Event Staffing is incredible! I had the pleasure of working with Racheal from On Brand Events Staffing, and i must say her and her team were simply amazing! Everything was professional and done with kindness. We loved working with this company and would recomend them to any and everyone! Ray was excellent! He helped make the event go smoothly and was a pleasure to work with. I could not recommend a better shuttle driver. I felt like I could concentrate on the rest of the day since that part of the puzzle was in capable hands. So happy to make your event stress-free Justin! Congrats again, and hope to work together again soon! We contacted On Brand very last minute for a dinner party. They were able to squeeze us in and still take care of everything with attention to detail and professionalism. We used On Brand Event Staffing for our Seder with almost 30 people. The waiters they sent were prompt, professional and completely on top of things! All I had to do was think of something I needed done and it was handled. I would definitely use them again. Found On On Brand Staffing via a Facebook group and had a lovely experience with Rachel the owner and her staff! The bartender we had, Dani, was wonderful! She showed up on time, was presentable, able to prep all cocktails quickly, friendly with all the guests and cleaned up well. I would absolutely use On Brand again for our events and in fact, we will be using them again for our next event in two weeks! Thanks for your feedback Victoria! We love hearing positive responses from our clients. We're looking forward to our next event together, and plenty more in the future! Joshua and Rachel were wonderful. Very attentive, professional, and always doing something. I've worked with some people who are a bit lazy. Not these two! They were great throughout the whole event. Would hire again. Hey Lusine! I’m sorry to hear this was a bad experience for you. We have been in touch with you during your event, and you had told us “everything was going very well”. We were amenable to your last minute request for the staff to stay later to help finish cleaning up, and were on top of communication with you and the staff in order to make it happen. We like for our staff to tend to guests needs, so talking to them while working in an intimate setting, is something we encourage, to help make the guests experience more enjoyable. I’m sorry again you felt the need to write this review, as we would have been happy to give you a discount off your next event with us, but totally understand if maybe we weren’t the right fit. Happy New Year! Such a valuable tool! I shoppped around and Gigsalad’s price was excellent. I got a first class bartender for New Year’s Eve with only 2 days notice on the busiest night of he year! Booking on the app is so easy. A clear streamlined interface makes it fast and thorough. Over the 2 days leading up to the party I had quite a few questions and changes and instructions. These are all done through messages on the app. Each message was answered immediately and each request was addressed. We were sent a bartender named Winter. She was a delight and a real pro! My guests loved her too. Will use Gigsalad every single time I entertain. Hey Lisa! We are so happy to have another satisfied client! I hope next time you need staff for your event, you'll come to ON BRAND EVENT STAFFING, and we'd be happy to assist you! Don’t look no further these guys are the best!!!! Rachel & her team are fabulous. From our initial conversation to the culmination of the event, the On Brand team listened to my needs and worked with me to get the ideal staff I was looking for at my event. The staff themselves were extremely professional and skilled, not to mention good looking. Will book again, thank you! Great group of girls who worked very hard and maintained professional and fun at all times. thanks! Cara and Stephanie did an amazing job for my 44th birthday party! They arrived early got the lay of the land and worked with my wife to make sure they knew exactly what she wanted them to do. They kept the hor d'oeuvres and the wine and beer flowing...everyone was very pleased. The party ended up going longer that we all thought (that's a good thing) and Cara and Stephanie both stayed longer to make sure our guests were taken care of! I can't wait for our next opportunity to use GIG Salad! Rachel and team thank you for coordinating! We had a grand opening for our gym JOG Center in Los Angeles, ca and we needed help setting up, assisting guests through the red carpet, passing out gift bags, and greeting people as they arrived. Rachel and on brand staffing team were very professional, fun, energetic, and very helpful through out the whole process. We hired 3 people and they were all incredible. We will def reach out to On Brand staffing again for future endeavors. From beginning to end it was a flawless experience. Dealing with Rachel was very easy and detailed. The staff that showed up - came with great attitudes, instincts, flexibility and professionalism. We will definitely call on them again. Did a good job serving the food clearing plates , refilling water. Top notch company. Very professional and friendly. I catered and Party planned My wife's 50th birthday party, I was also the Chef, Rachel helped suggest how many waitstaff I should have for number of guests. It happened to be a blessing. My bartending company never showed up and well I had enough staff to move around. From setup to lsst minute switching postions the staff stepped up. Winter became my bartender, Keenan my carving station, Adam and Cara other staff. We pulled it off. They were fun and Professional. Thank you again. Highly recommend! Excellent Service, Super Nice People! 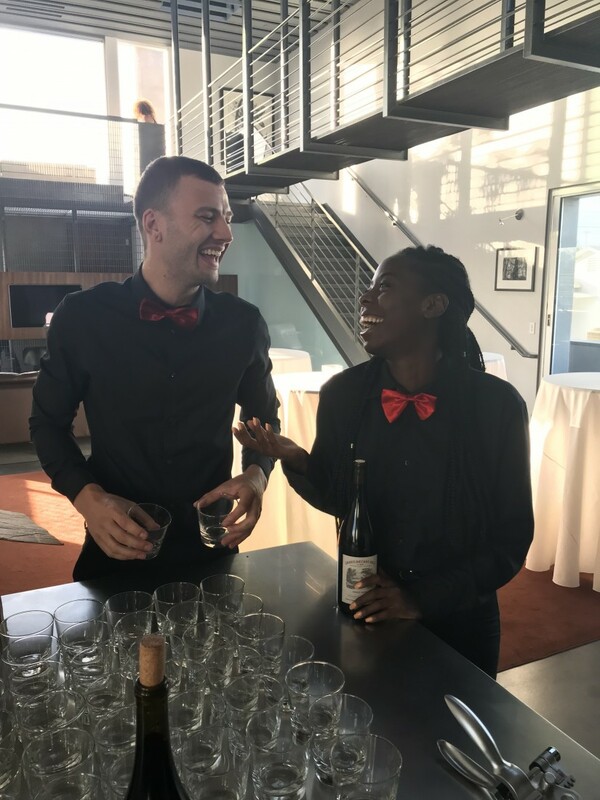 Thank you to On Brand Event Staffing for providing 6 waitstaff and 1 bartender for Centers of Learning's 1st Annual Fundraising Gala. Your prices were so reasonable, and your staff was outstanding! Everyone commented on how professional and efficient your team was, and just plain nice 😊 We will definitely recommend On Brand to anyone needing event support... and we're already planning our 2nd Gala with On Brand Staffing in mind! Thanks again! I am very impressed and happy with the services. On Brand Event Staffing was perfection! Everything with this company could not have gone better. Communication between company and client was thorough and timely throughout the entire process. I had a lot of requests and they were able to work with me to create a special event that I won't soon forget. The staff was polite, punctual, and lovely to work with. I have some fall holiday parties coming up and I cannot wait to use a Rachel and On Brand Event Staffing again. They were stellar. Rachel was excellent at communicating all details required for the event in a very timely manner. I was very reassured that the waitstaff that would be attending would be at the birthday event and all would be well. The server was on time, was easy to work with, and was very helpful for all our needs. I would use them again. Thank you Sarah! So happy everything went well for your event. We hope to work with you again very soon! Thank you Robert! Looking forward to working together again in the future! Hope you'll keep us in mind for your next event! My server was very cooperative and tried hard to do a good job. She did however lack training and worked very slowly. She did keep my schedule and made sure the food was ready on time. She worked so slowly that she did not have time to bus the table or finish the kitchen. I think she would be great with more training but I would not use her or your service again. You were more expensive than the other option and I thought I would have a higher quality person. Hey Marlene! While we definitely appreciate your 5 star review, we tried getting in touch with you several times to see how your event was, with no response on your end. We always want our clients to be satisfied 100%, and are very sorry that you were not. If you needed her to stay outside of the time she was scheduled, we are always just a phone call away, in order to adjust pricing and have our staff finish the job. While we appreciate your feedback, we wish you would have responded to our attempts personally, before leaving this review, so we could have had the chance to make it right. Rachel was easy to work with and always very prompt with communications, and helped me staff a great event. Thank you for everything! Thanks Erik! We hope to work with you again in the future! I had a great experience with the service provided by Raymond and Winter at our wedding reception. They arrived on time, were extremely willing to help with any task, and were exceptionally friendly and professional. Thank you for all your help, it was greatly appreciated and I would definitely recommend this company for any event! I also booked last minute and received great response and professionalism. 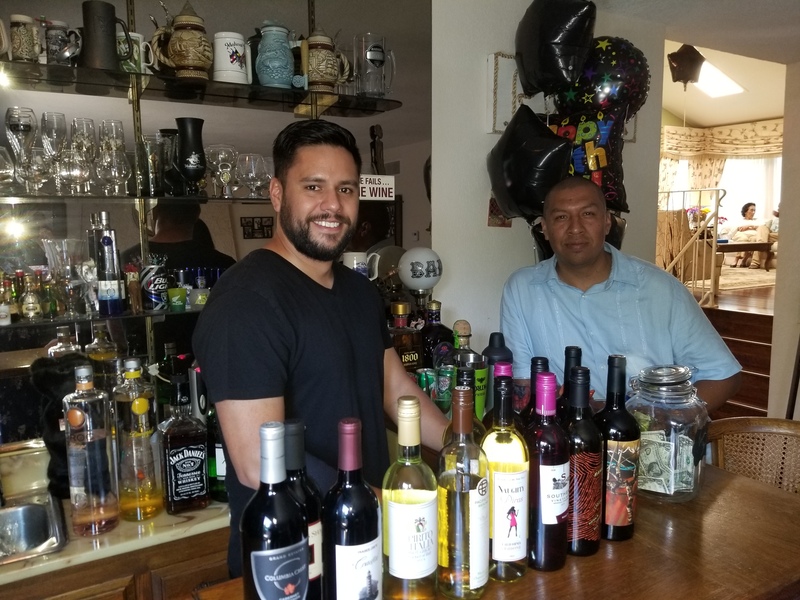 I had a surprise Birthday Party for my husband on 8/6/17 and Ray was absolutely the BEST bartender that I have ever hired. His drink were creative and such a hit with our 75 guests. His demeanor was professional yet fun and I cannot wait for our next event! I recommend that EVERYONE book their events through GigSalad. You will not be disappointed! Excellent customer service and the best rates! Thank you Rachel for your great service also. You are the reason that I booked my event! You have a customer for life! Thanks Tina! So glad you enjoyed the service and can't wait to work with you again soon! I used Gig Salad to find a last minute server for a 30th Birthday Party. I was contacted by Rachel the same night I placed the ad. We confirmed a date and time, and she was in constant communication with me all the way to my event, and post. Rachel answered all my questions and took care of details etc. Rachel found me a great server to assist with the party. Milynn was an absolute joy to work with. She was on time, provided excellent customer service, to my guests, and knew exactly what do for the duration of the event. Milynn was awesome, and exceeded my expectations. I would definitely hire from Rachel again in the future. We needed help for a family and friends event and everything went smoothly and professionally. Great communication and excellent results. Will use again! Vanessa was very friendly and helpful. Thanks Conrado! Glad we could help! She went beyond the call! Did everything and more. In the heat! Servers were great. Bartender didn't listen and was sloppy and disorganized. Organizer failed to disseminate crucial information to staff which resulted in party planner being inconvenienced throughout the night. Bottom line 2 of 3 were good Would use them not this company again. Hey Audrey! Sincerest apologies if you felt our communication was off. I tried texting and calling several times to check in with you on the night of your event and ever since, but have heard nothing in response. We are a very open and honest company and believe communication is key for success. I understand events can get hectic, but wish you had gotten the chance to speak to me on the phone, instead of leaving a review instead. We strive to make our clients event's stress free and getting all the details up front, in order to avoid confusion or unwanted circumstances. I'm sorry you feel unsatisfied in any way. My bartenders were amazing and so nice. I will definitely be using this service again. Thank you! I recently had a need to hire wait staff for my daughter's birthday/graduation party. Rachel responded quickly to my need and provided the quote for me to review. I hired two wait staff. Andy was awesome. She jumped right in to help display cheese & fruit platters and made sure trash was picked up. Although my second wait staff person had some personal dilemmas and could not arrive, Rachel quickly arranged for Alex to come assist. Overall, my event went well and I was able to enjoy my guests and the celebration! thank you so much. The servers were a great help for our daughter's 8th grade grad party. Their support was greatly appreciated so us parents could actually host! Rachel was really helpful and professional. Rachel arrived early, was happy, confident, and helped in all the ways I asked, from serving, to help with cooking, washing up dishes, helping with games, refilling drinks, etc. I was able to enjoy my guests! Winter was awesome and professional! I hired Rachel for our family Holiday party on December 24. She came on time and from the beginning extremely helpful. She has a wonderful attitude, very organized, and on top of all the guest. I am looking forward to my next party and calling Rachel to help me out! Rachel was lovely. Very helpful and friendly. Rachel was sweet, professional and my family loved her. I would recommend her for any event. She follows directions and makes sure all of your guest are well taken care of. Great experience working with Rachel! Rachel was very professional and accommodating. She was a pleasure to deal with, a beautiful person inside and out. You can expect nothing less than a punctual, honest, and hardworking team when you choose On Brand. We want you to feel like a guest at your own party, instead of the host. 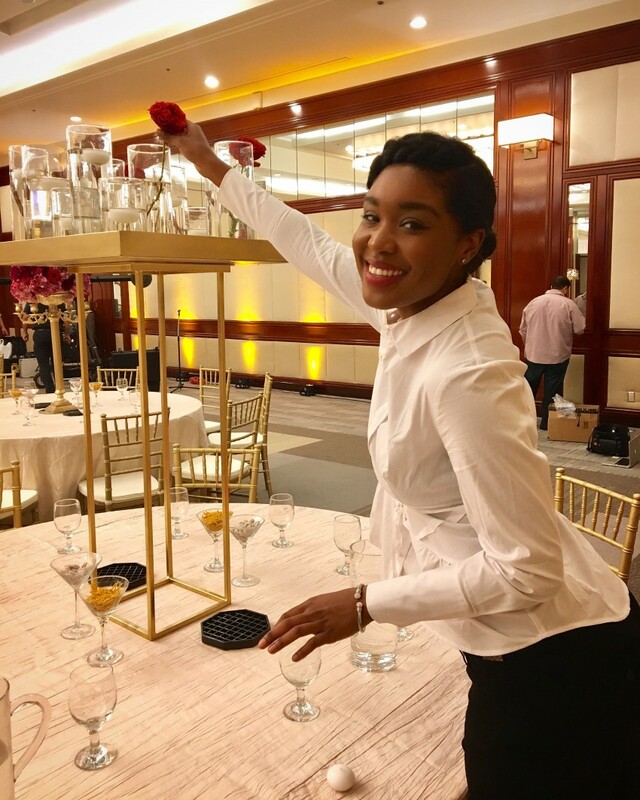 ON BRAND EVENT STAFFING is a Los Angeles and New York City based staffing company that has an array of talented bartenders, waitstaff, event captains, promo models, brand ambassadors, DJ's, and a whole lot more. Our staff are all experienced, friendly, and helpful professionals who want to contribute to making your event as memorable and hassle-free as possible. We let you provide the party, just let us take care of the details. Call now for an event consultation, and we would be happy to help!